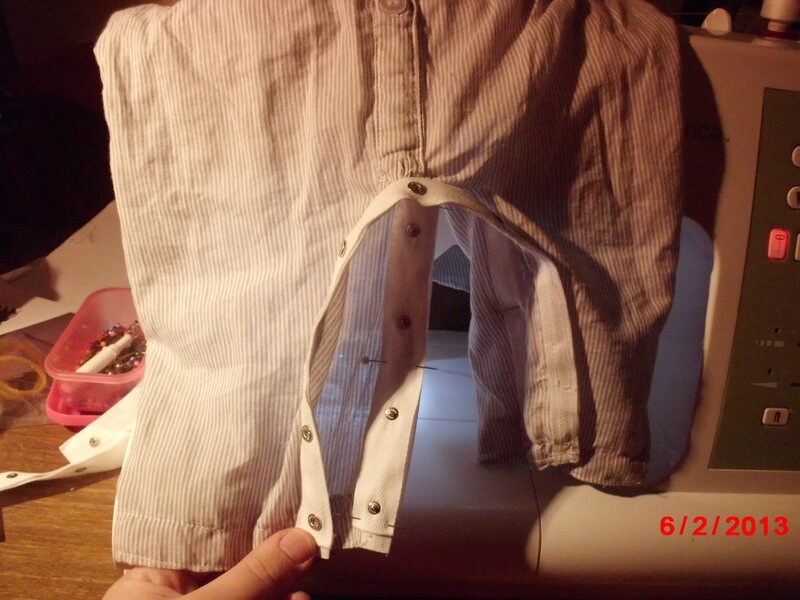 This is the second part of the romper tutorial. Here is link to part 1. Right side of fabric is the pattern side that you wish to use. Wrong side is the side that either pattern isn’t on or the colour is less vivid the side you don’t want to see. 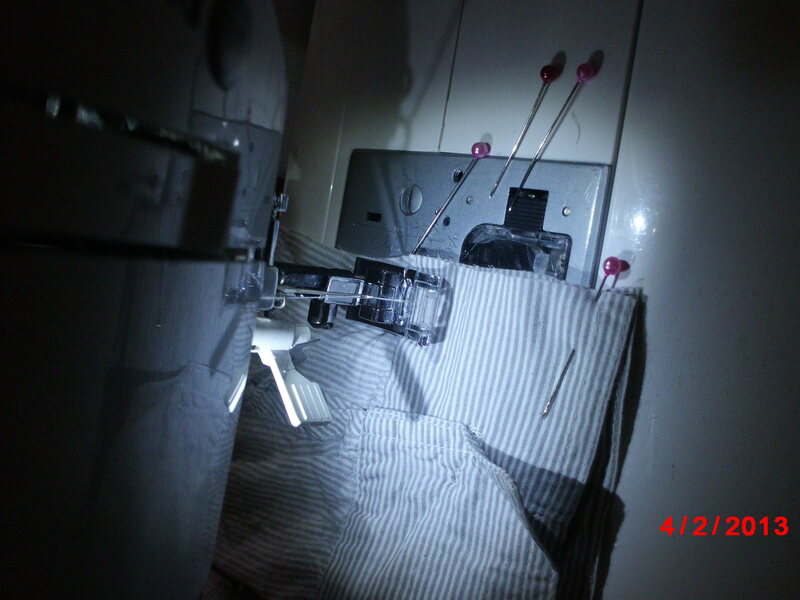 Overlock finishes the edge off. 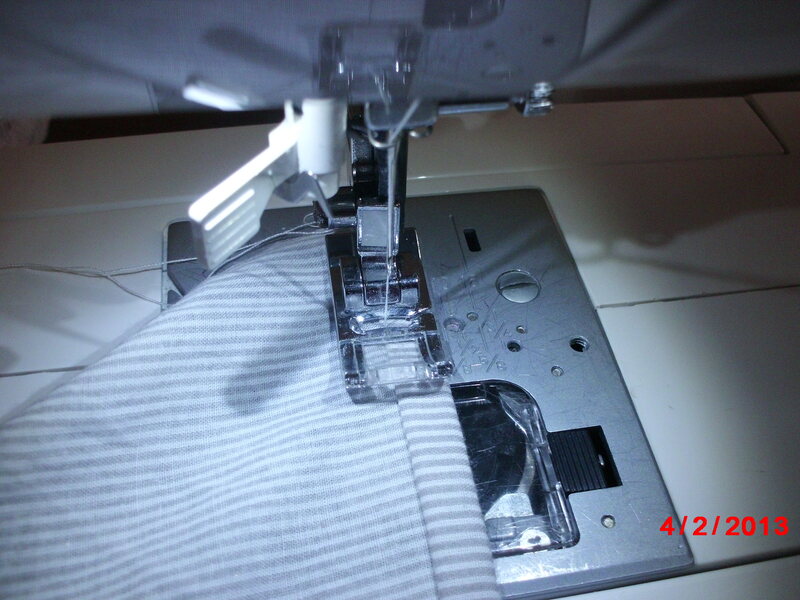 Seam allowance is the allowance you allow for the seam without affecting size of item. 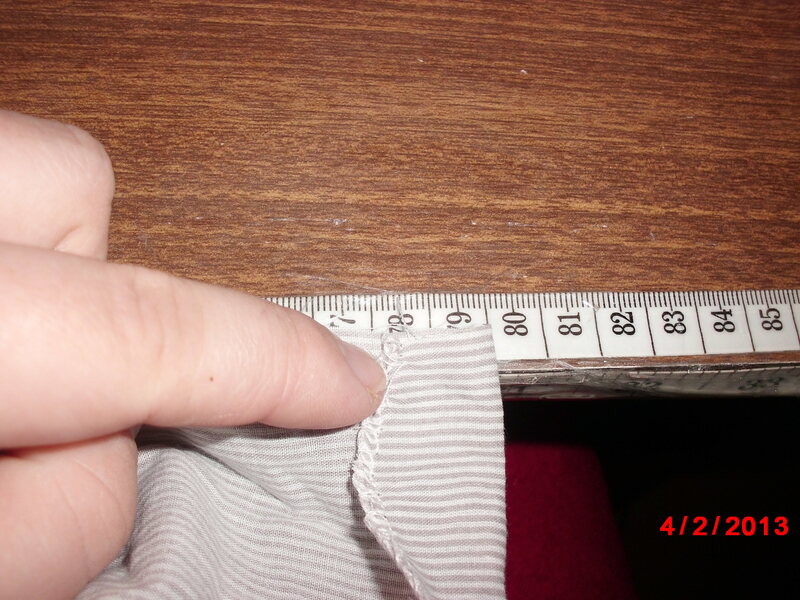 All seams are 1cm unless otherwise stated, which means you sew 1cm from edge of fabric usually indicated by a 10 on your needle plate. Backtack at start & end of each line. 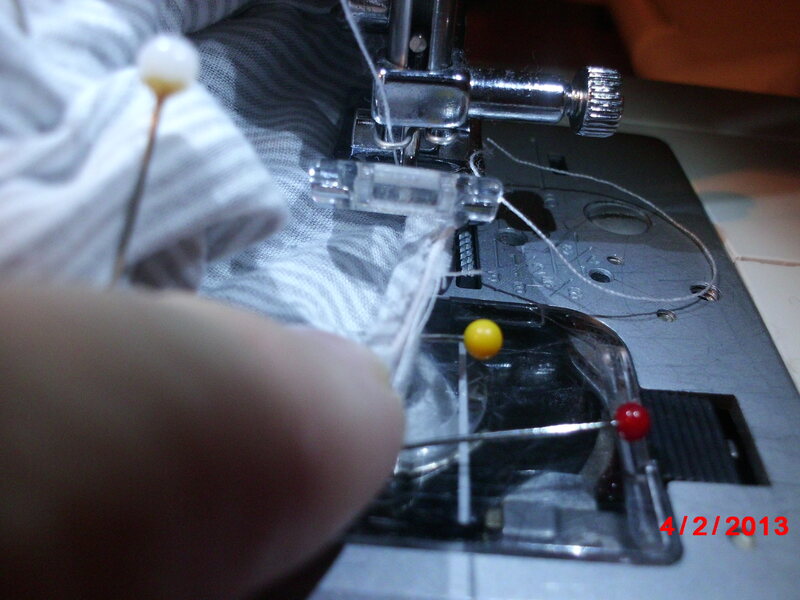 This keeps your stitching from unravelling & most machines have this button on the front above needle. 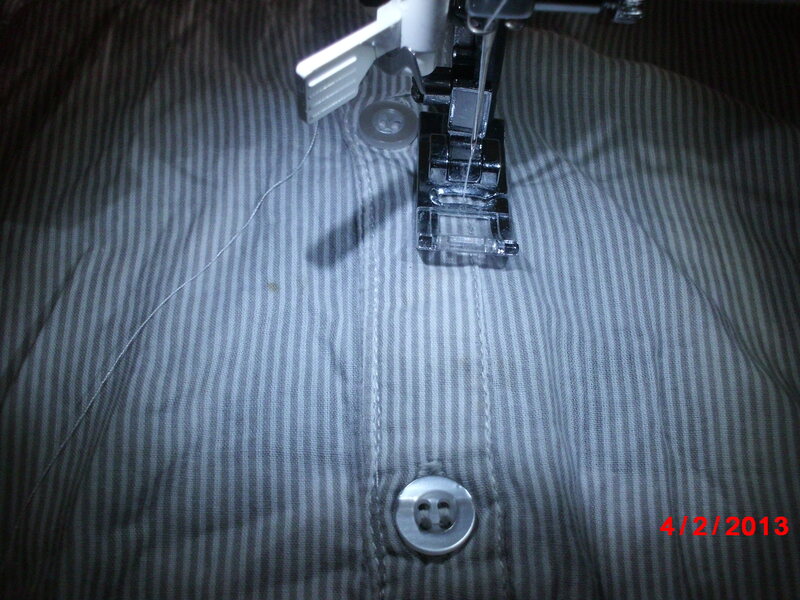 Lay out your shirt so the button is facing down & flat. 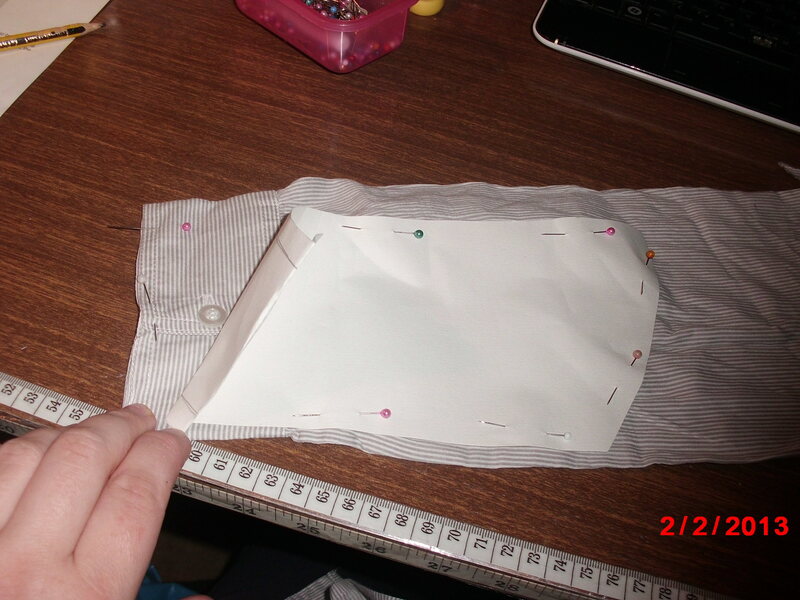 Now your front pattern piece so that the CF is in line with the buttons. 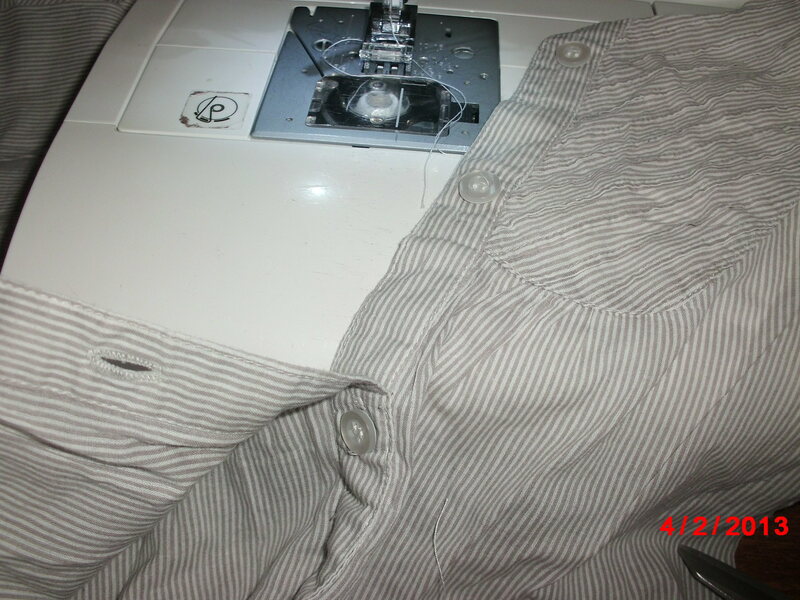 Make sure you have a button at the top but leave at least 1cm for seam allowance. Now repeat for other side of shirt. 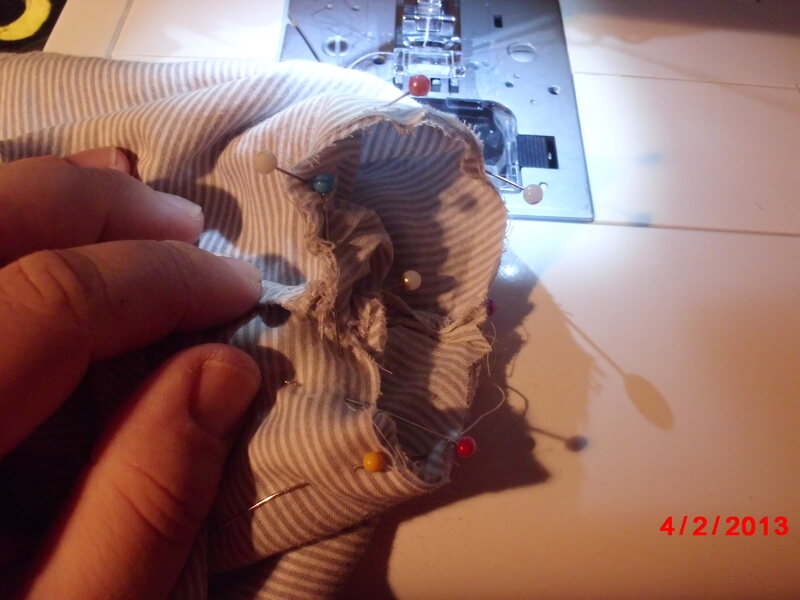 Ensure the button holes match up to the buttons on other piece by marking pattern. My shirt has nice pin tuck detail so I cut mine to include this but not so was symmetrical. 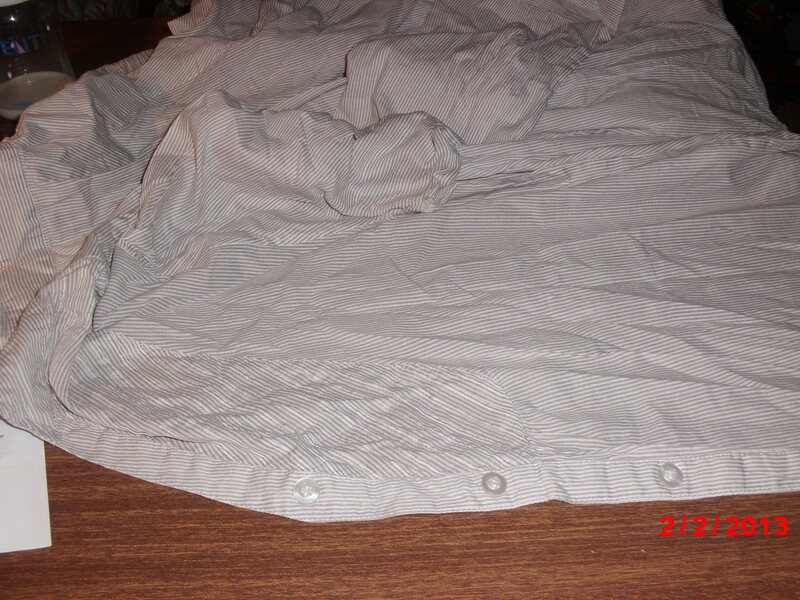 You will have 2 pieces that when buttoned together look like this. 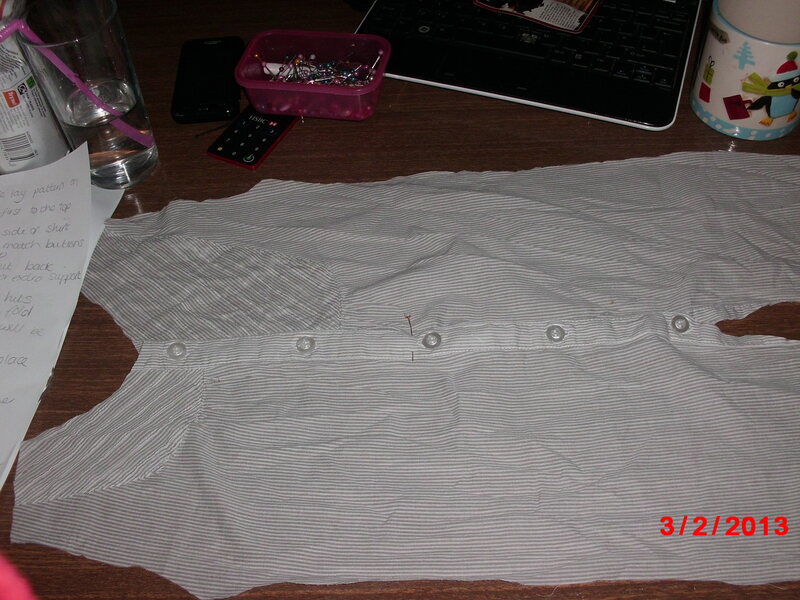 Lay shirt out with back showing & place your back pattern piece on. 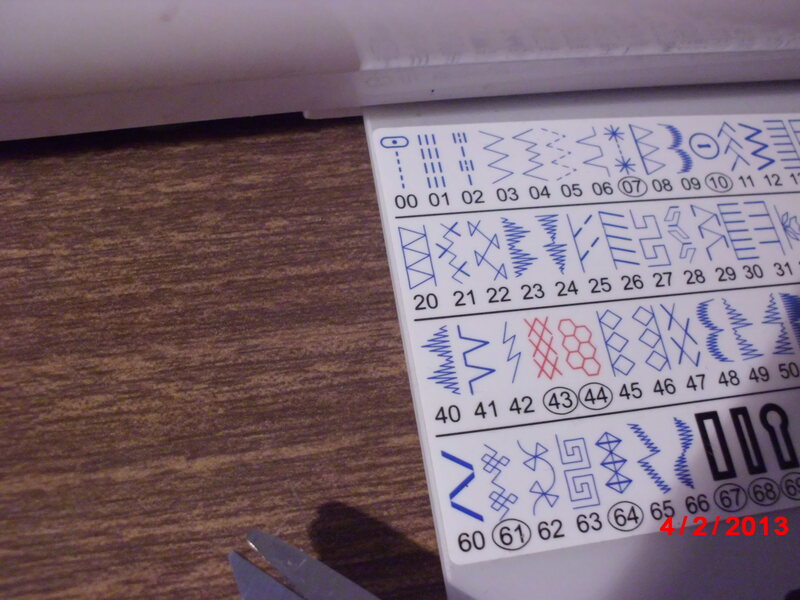 Make sure if you wish that the pattern runs in same direction as front pieces. I cut mine high as the shirt has a facing inside which will strengthen my piece. We will now cut the sleeves. I cut mine on the cuff. 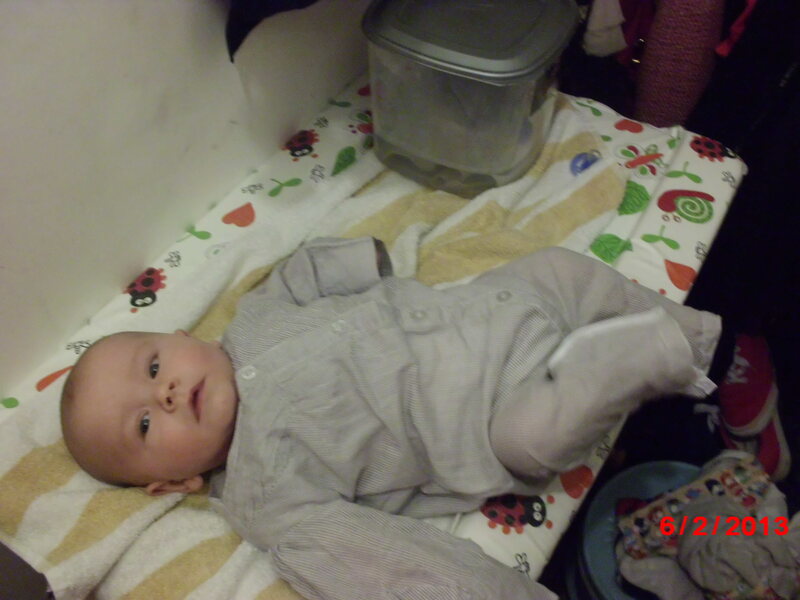 These will be bigger than usual baby clothes cuffs but adds to the interest and saves me a job. 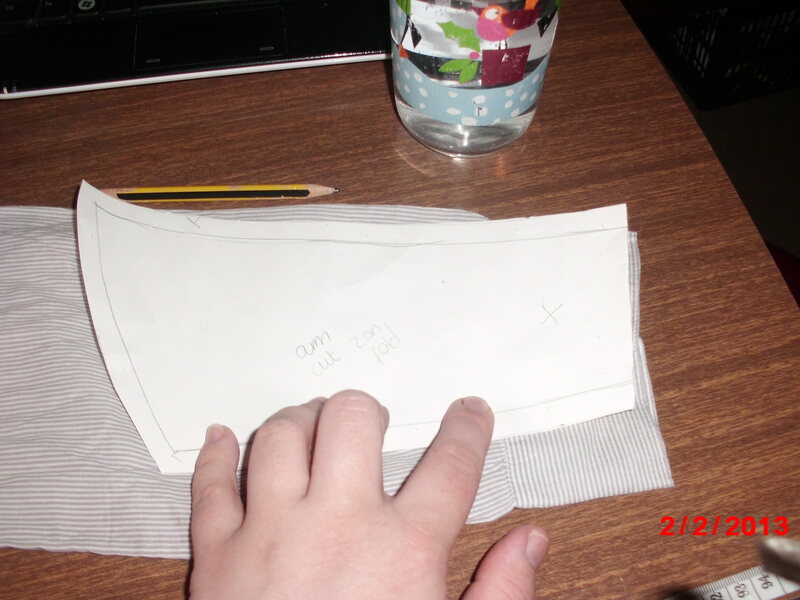 As can see from my picture the sleeve has a slight curve to it so my pattern piece doesn’t sit next to seam. 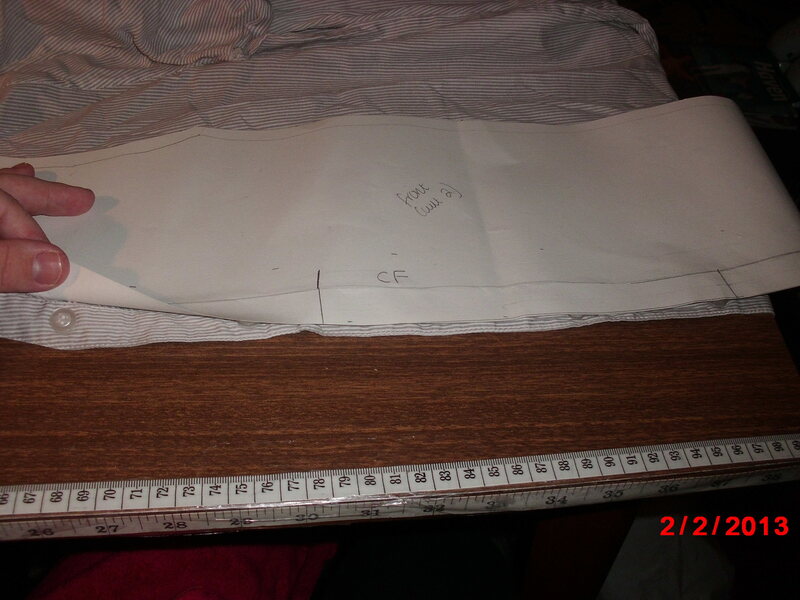 I chose to cut it so this curve was included creating slight billow to the sleeve when made. I found when cutting the other sleeve that the button wasn’t in same place as can see below. 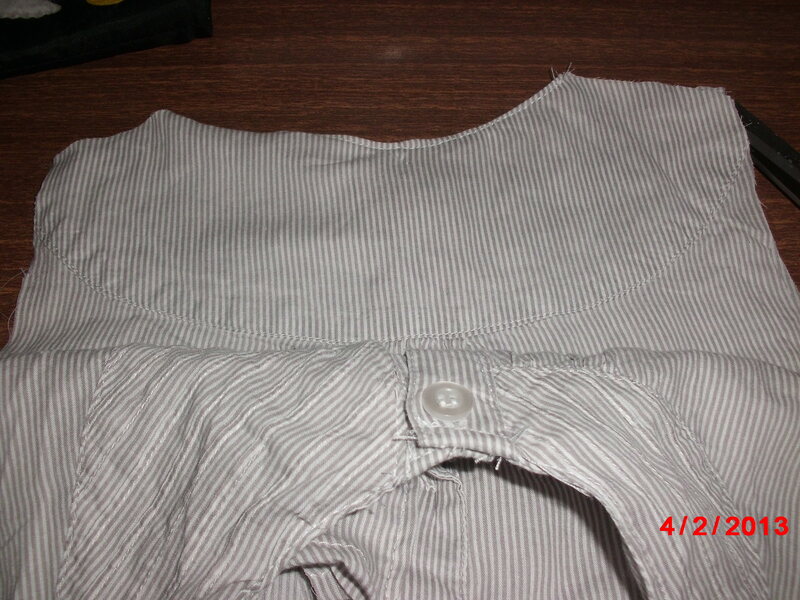 I decided because of the billow in the sleeve that the button couldn’t be in same place. 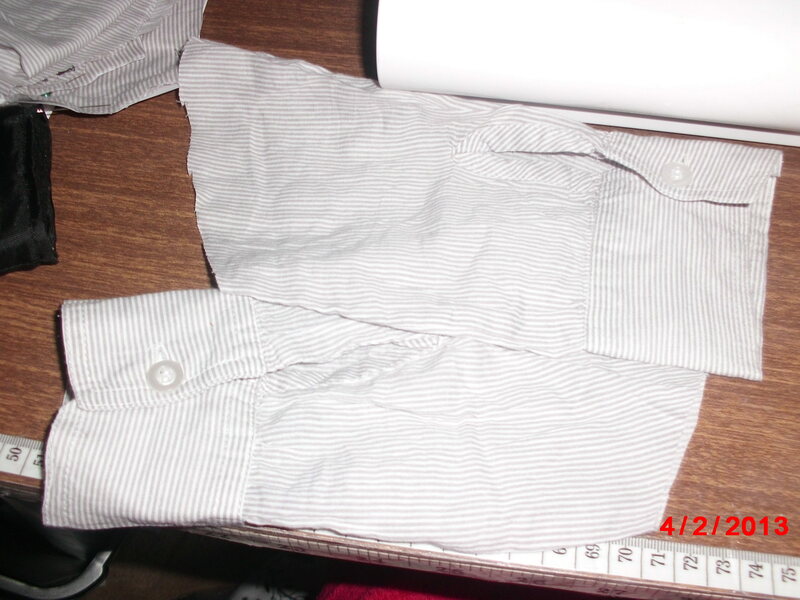 So I laid the previous cut sleeve & the pattern piece on the sleeve at the base like before. The pattern allowed me to see where to cut the cut sleeve allowed me to have exact same size billow at base of sleeve when cut. I cut out the back & front facing. The back piece needs to be cut on a fold I used the rest of the sleeve to do this. The front is 2 separate pieces. 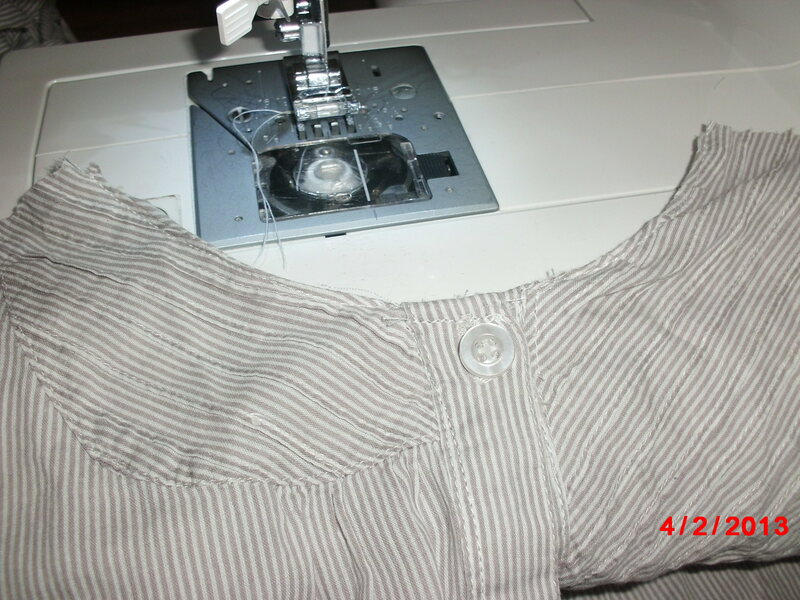 Make sure your front & back pieces are buttoned together using a pin mark where you want the romper to open to. 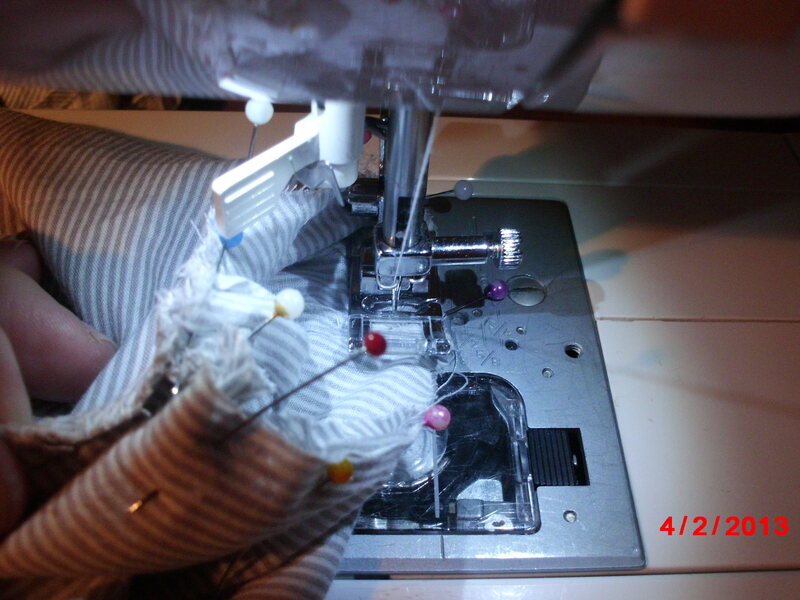 Sew along the buttons following existing stitch line to join the pieces up to pin. 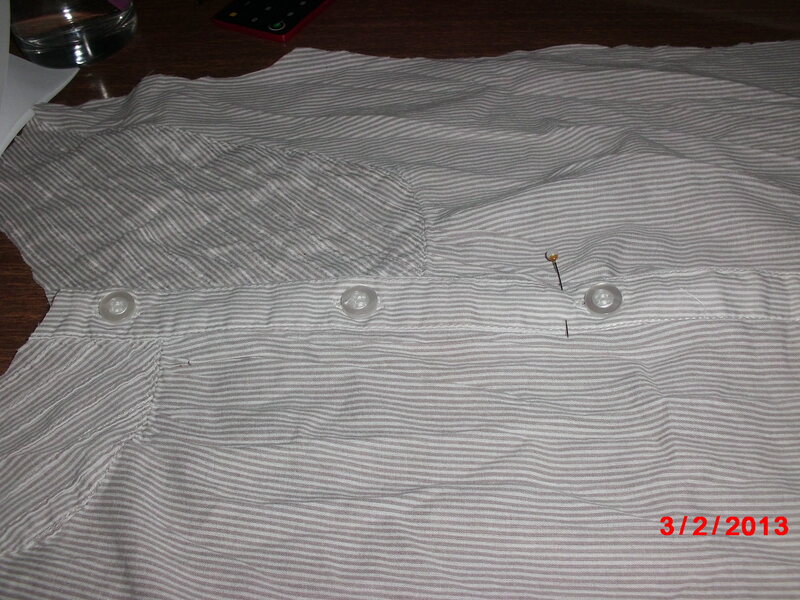 Then sew across top of button to secure. You should now have a romper front that buttons open to a point & is fixed rest of the way down. 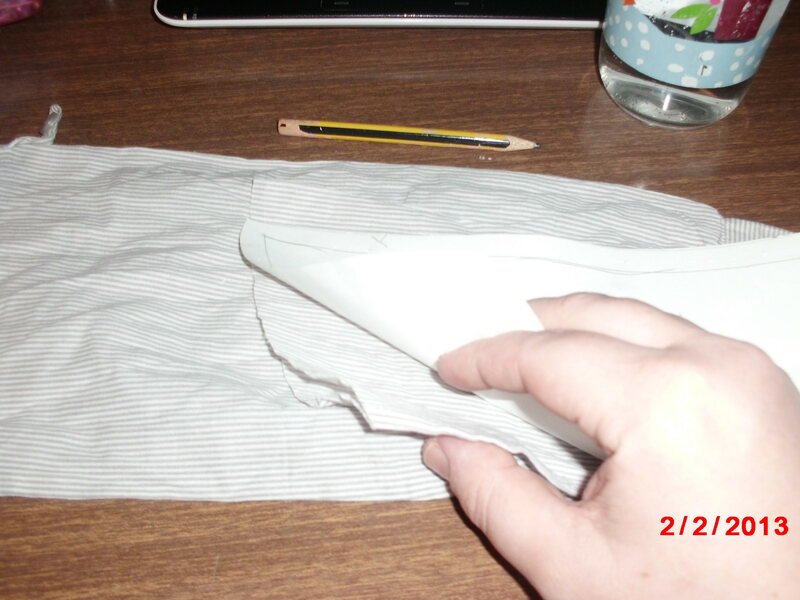 Hem both front & back facings by folding under 1cm then another 1cm. 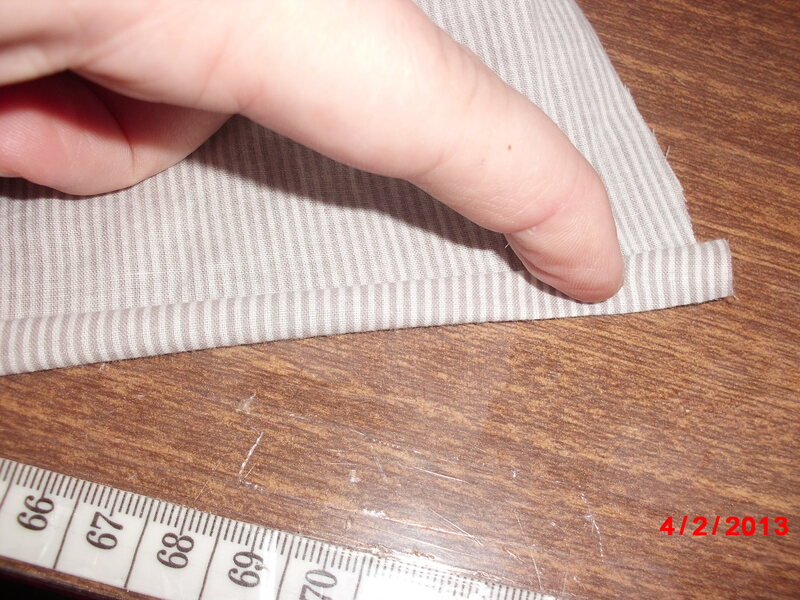 This is a closed hem. Sew at very top of this hem. Pin right front facing on right side of romper right side of material is to the right side of the romper (you will repeat this step for left side). Sew round the neck line stopping before reach buttons. 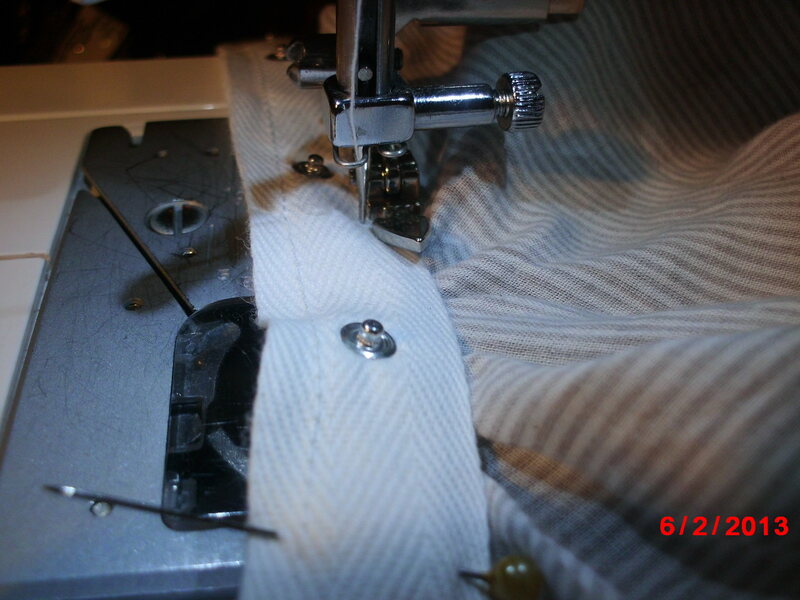 You will have a rough edge where the buttons & buttonholes start. 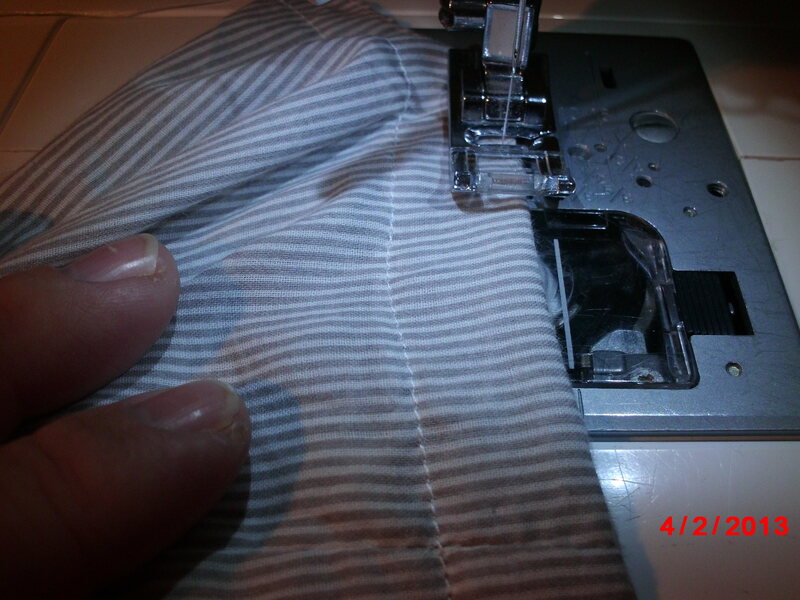 Turn this under twice to form a close hem but so you don’t cover the button hole. Sew. 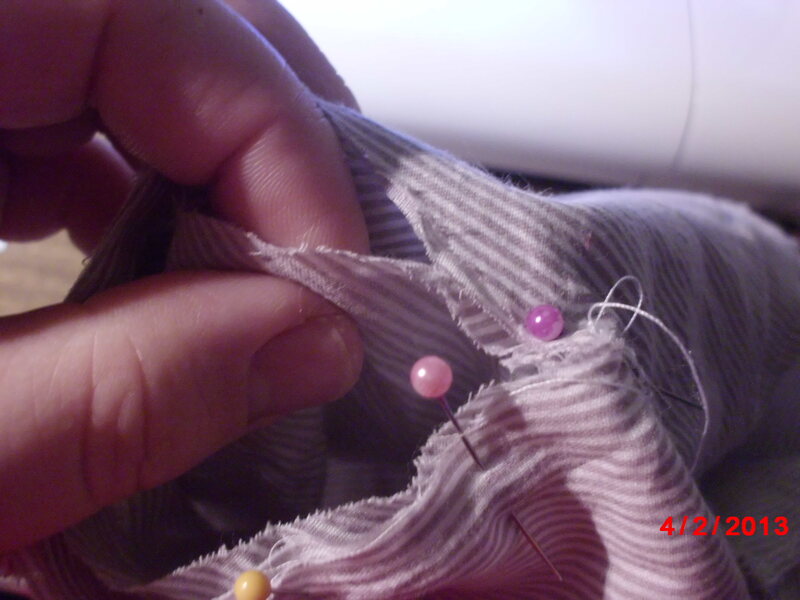 Now turn the edge of the facing under so the edge sits at the egde of buttons & buttonholes. Sew along close to edge. 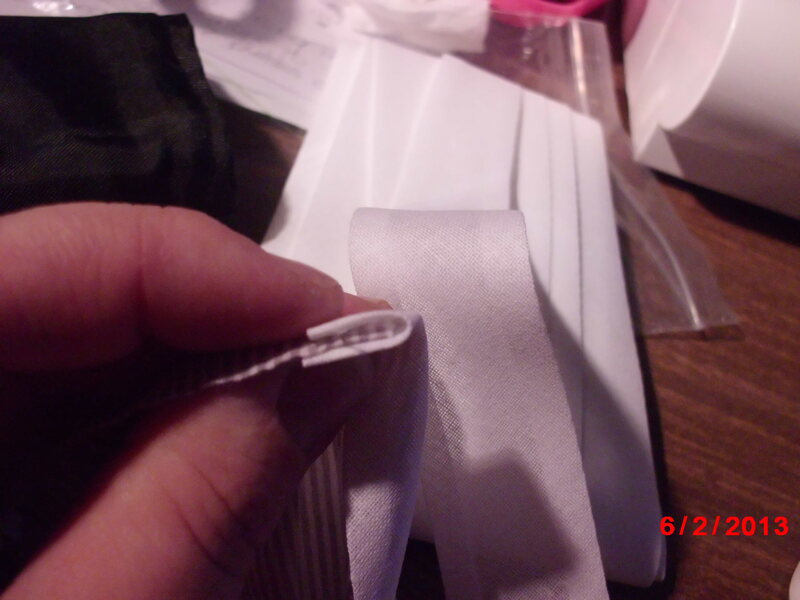 Turn this to the inside so you should have a nice tidy edge at neckline. Top stitch along neck line about 1/8″ in.Now do same for back pin back facing so the right side of material is to the right side of the romper. Sew along neck line & turn to inside. Top stitch along neck line. Turn your sleeves so right side is facing right side. 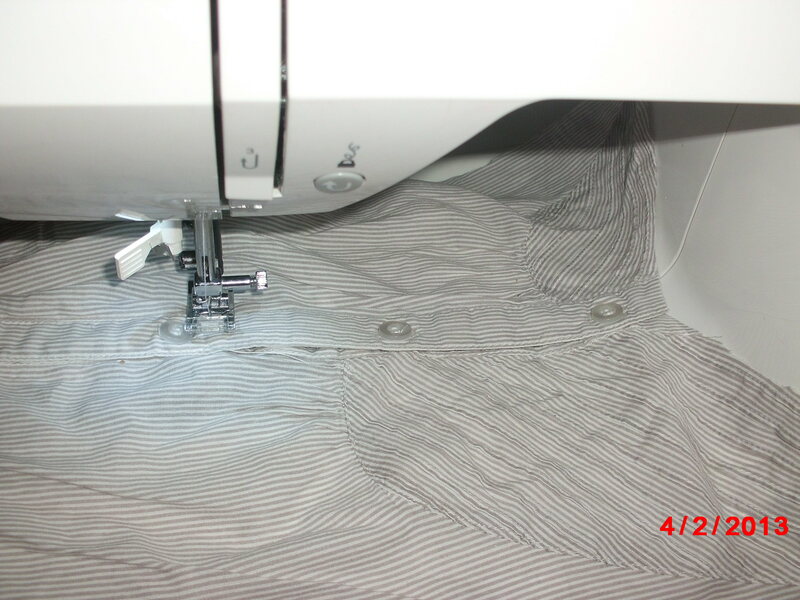 Using 1cm seam allowance sew along top open edge. Turn right side out. Repeat for other side. 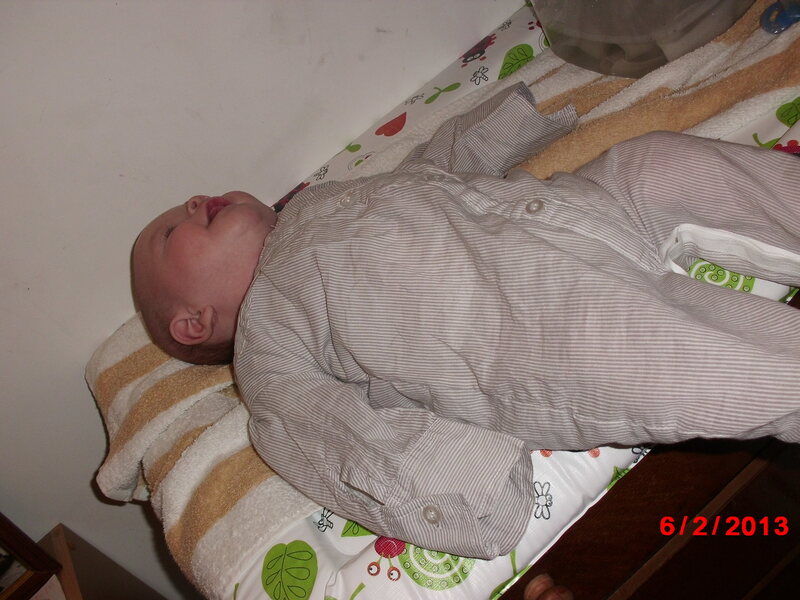 You now have 2 baby shirt sleeves. Now lay back romper piece on top of front romper piece, right side to right side. 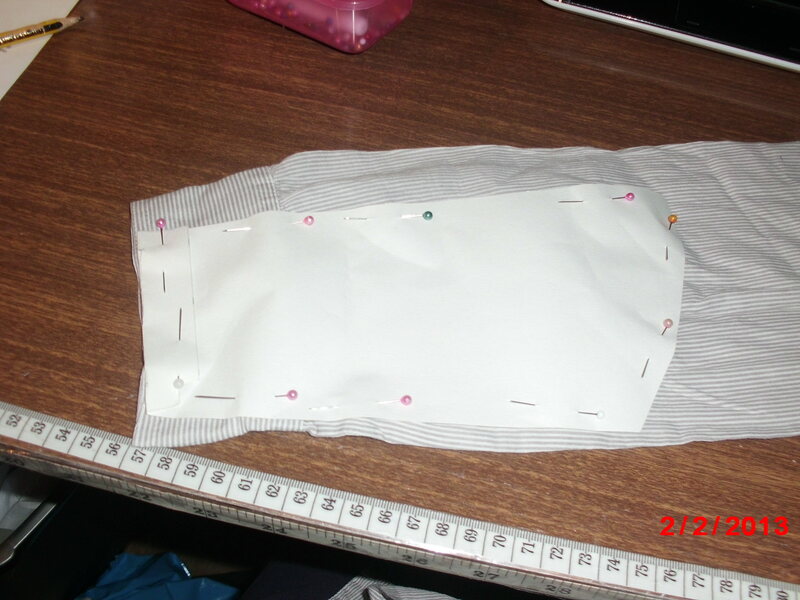 Using 1cm seam allowance sew along each side from armpit to ankle then across shoulders. 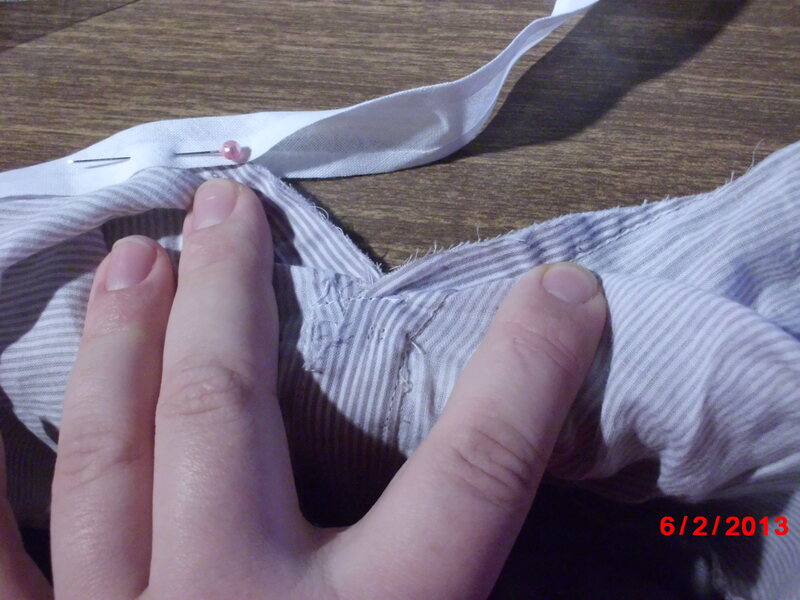 Make sure you trap the facing into this seam & don’t sew arm hole shut. 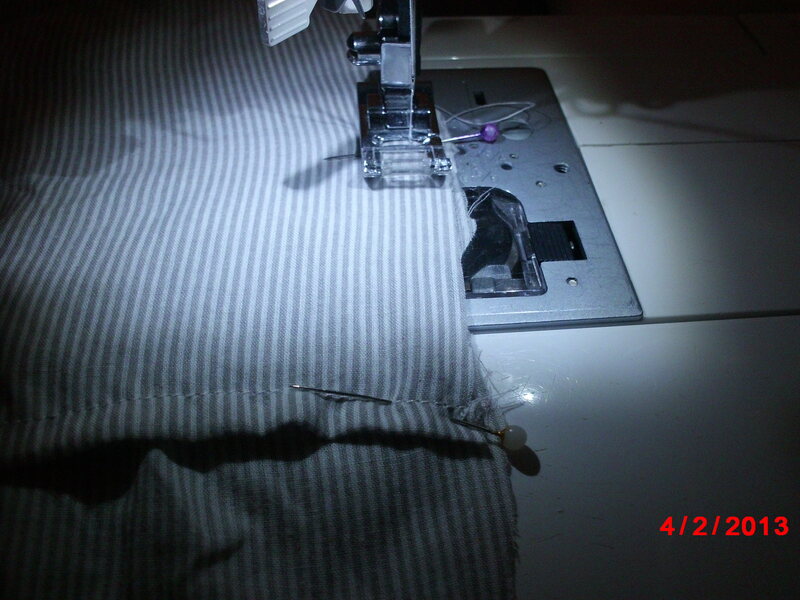 Now we will finish the raw seam this is called overlocking. 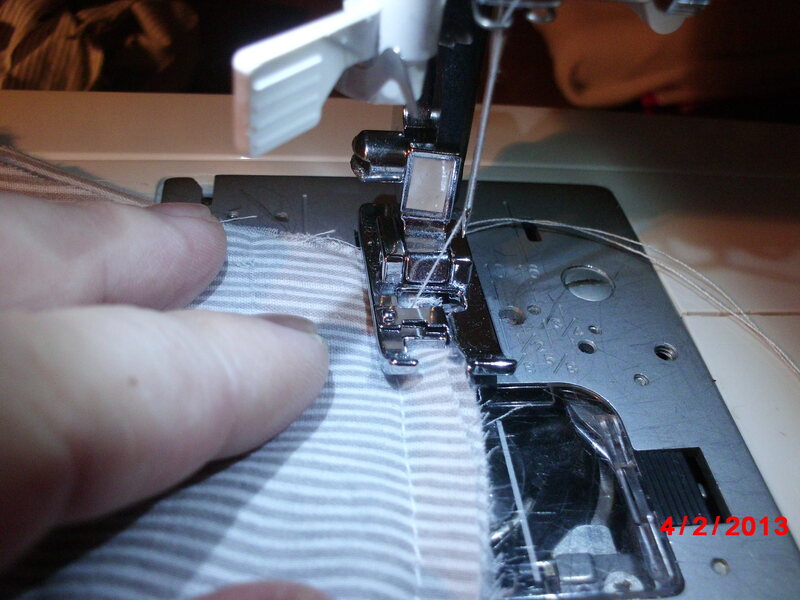 All you need is a zigzag stitch however some machines have special overlock stitch. You can also buy special feet to help you with this. 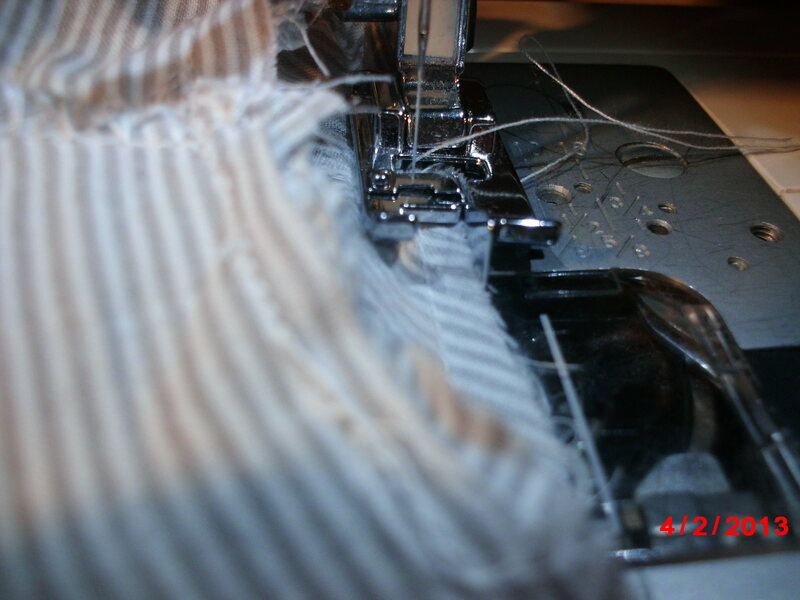 Zigzag or overlock stitch all raw edges, side seams, shoulder seams, inside legs seams & sleeves. 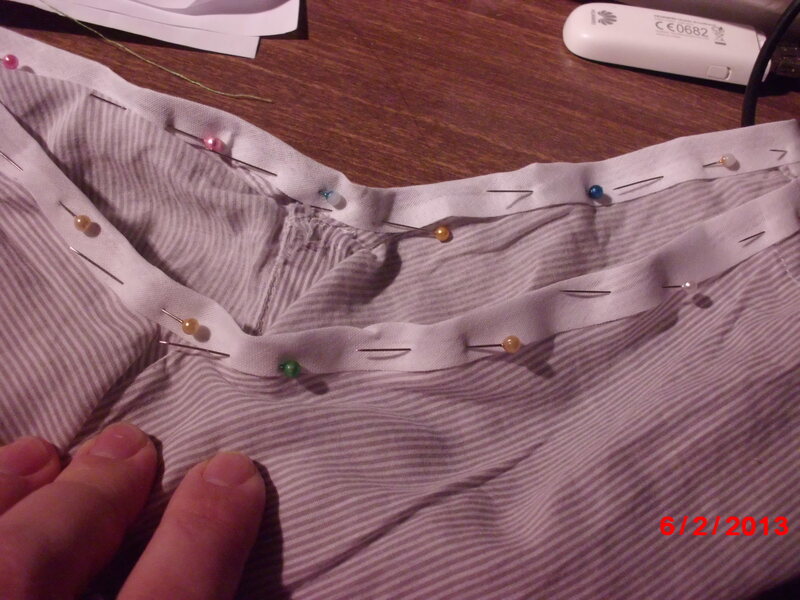 You may wish to trim your seams to tidy them & make smaller. 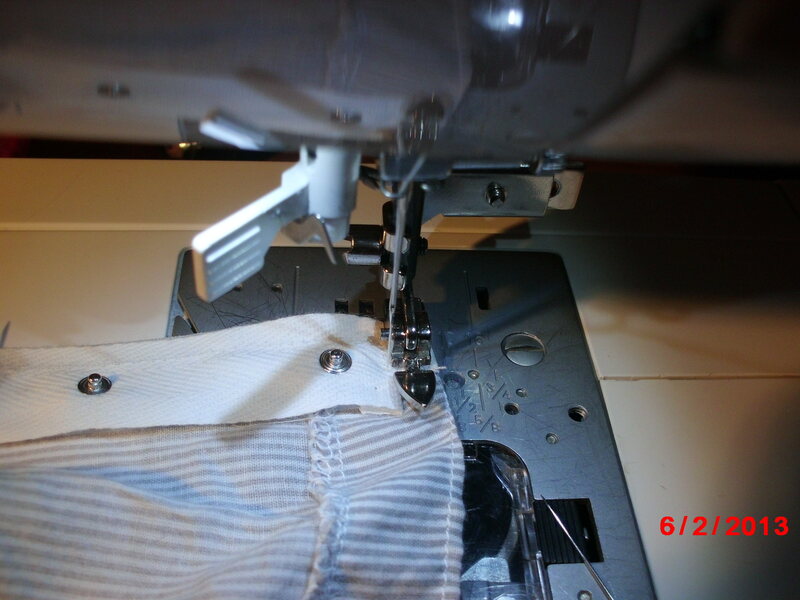 Make sure you open out the legs to do hem so you don’t accidentally sew the legs together. Next step is to prepare the legs. Hem each ankle by folding under 2cm & sew along top edge of that hem. 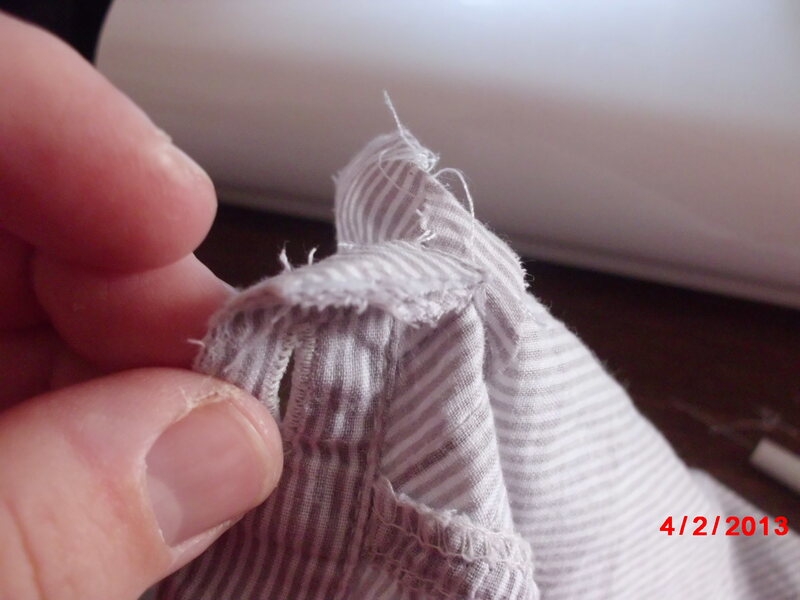 You can then sew along bottom of this hem to create a double line effect & flattens the hem. Next step is the sleeves. Starting at armpit place the right side of the sleeve to right side of the romper pin in place. As mine had extra for a small ‘billow’ I will start at bottom so if I need to gather any I can do this at shoulder rather than under arm. I tried to get pictures of this step but my camera wouldn’t take a clear picture if you need help just email me. 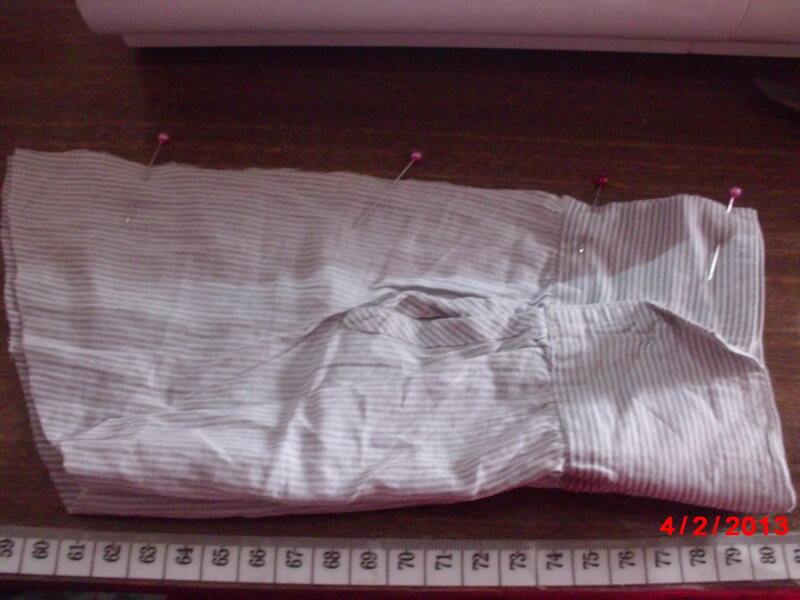 Once pinned sew all around using 1cm seam allowance, taking pins out as you go. Because the armhole is small this can be fiddly so starting at armpit flatten the shoulder to the romper making sure the inside is showing & all other parts out of way to ensure you’re just sewing the sleeve on! Then go slow. 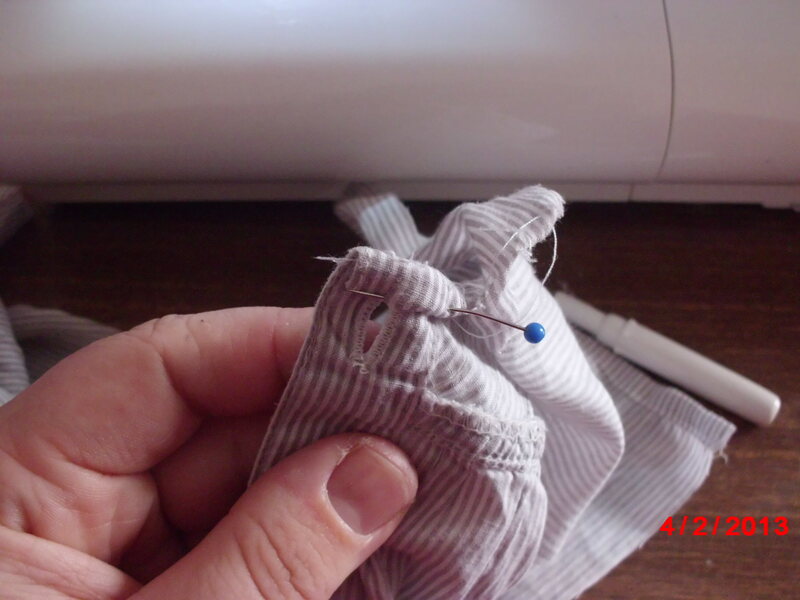 Sew a bit at a time lifting foot to adjust pattern like shown. 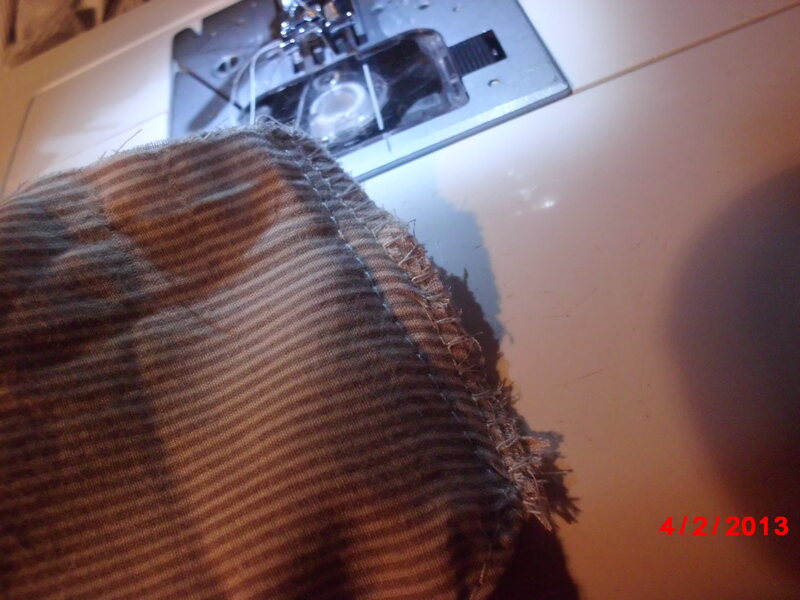 Overlock this edge like before. 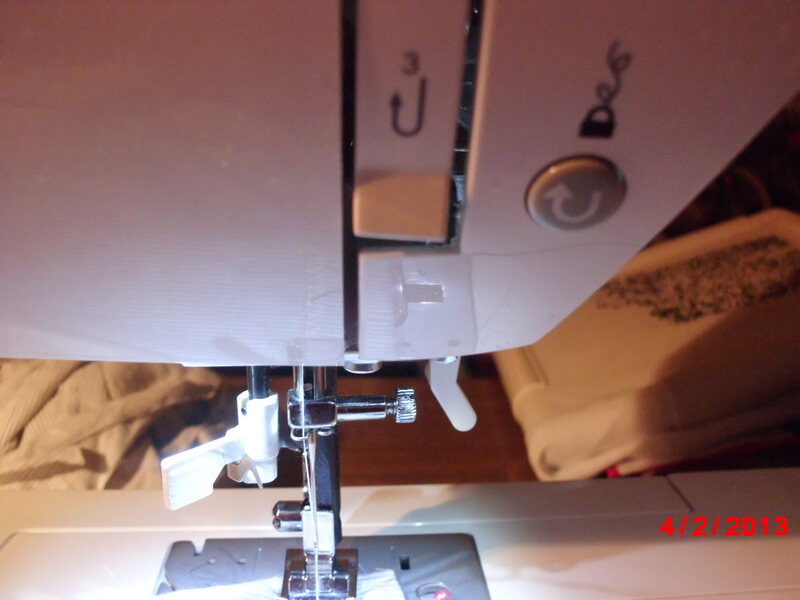 Get your bias binding & fold under 1 edge by 1 cm. 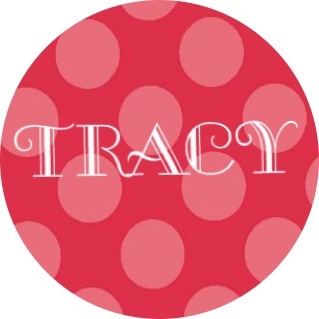 We need to pin this onto the romper along the inside leg with even amount each side. 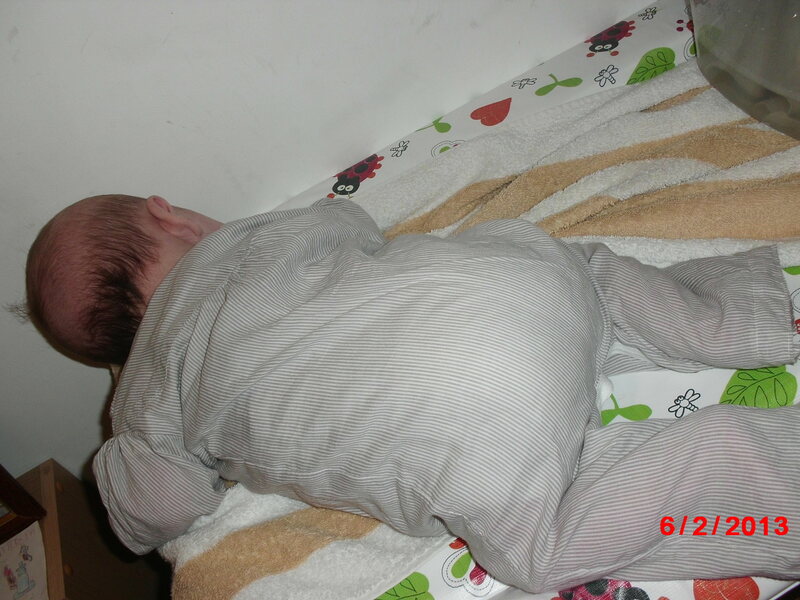 Straighten the crotch a little to pin otherwise you will end up with uncomfortable bunching. 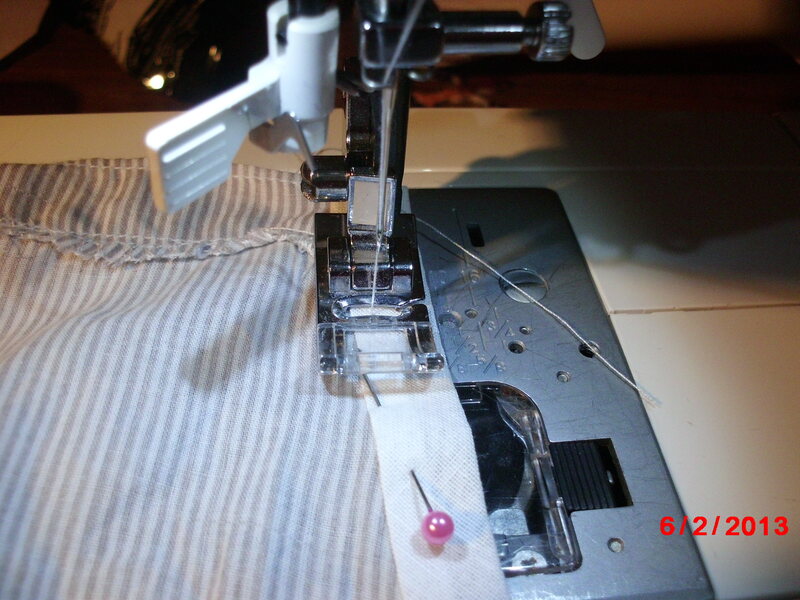 When reach other end fold cut the bias leaving 1cm for turning under, tuck under & pin. 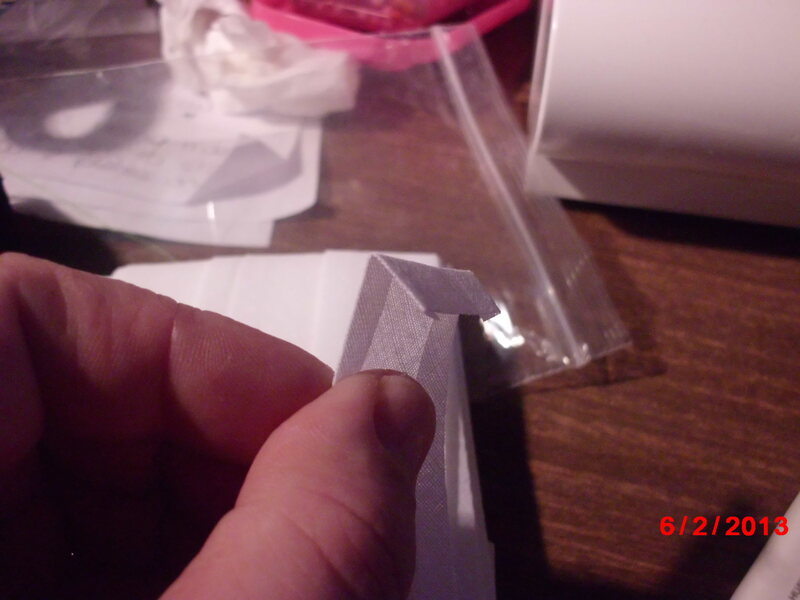 Start sewing this as close to inner edge, about 1cm from edge, so it goes through both layers of binding. Next we will sew on our popper tape. Position & sew either side of tape so sits on the bias binding. 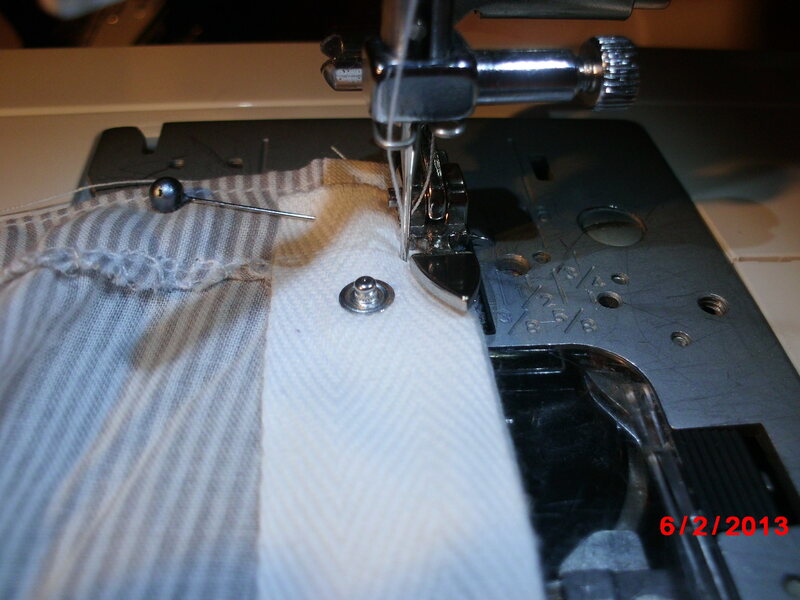 You will need to sew the front tape on outside of romper & the back tape on inside of romper. Line up one side first then make sure other side matches so they will clip together evenly. 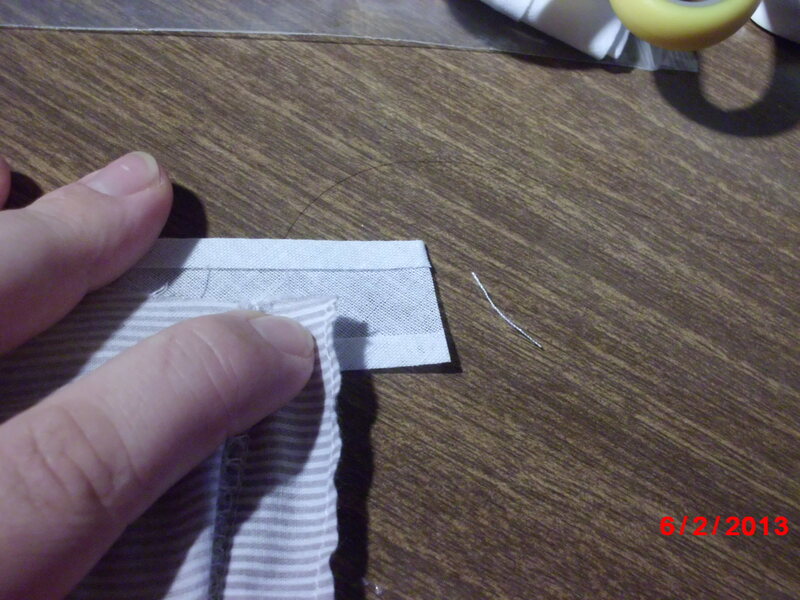 Start sewing up one edge of tape. You will need a zipper foot for this. I highly recommend adjustable type as you can get closer than with a standard one. 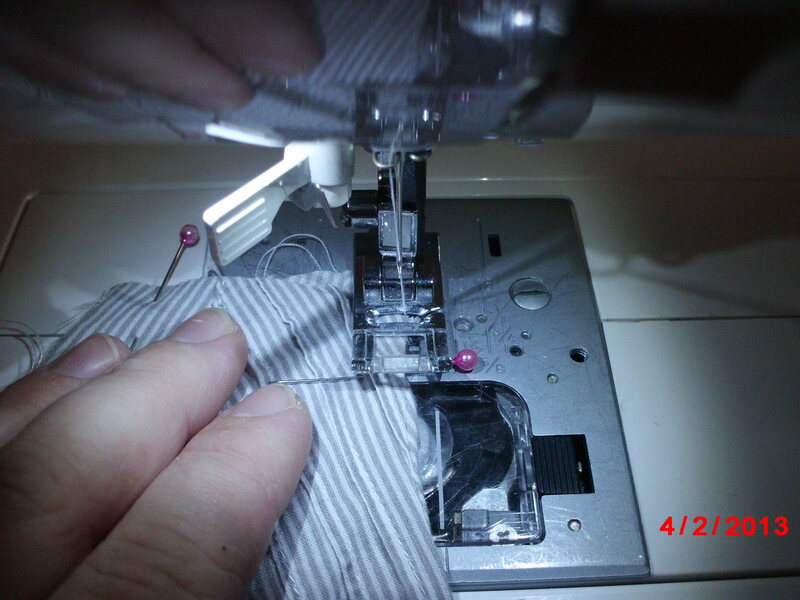 Then sew down other side of tape. Repeat for other leg. Make sure you straighten crotch as sew or will bunch. Thanks for doing this with me I learnt on the job hope you did too. Despite the lack of gusset and slightly too long sleeves this romper fit very well and was lovely and cool.